Datacentrix, a provider of high performing and secure ICT solutions, recently focused on the topic of digital adoption within the local agriculture sector, at its second annual Agri Indaba, held at Zebula Golf Estate, in Limpopo. Speaking at the 2018 Agri Indaba, Datacentrix chief digital officer, Rudie Raath, explained that, as a continent, Africa will feel the greatest amount of change when it comes to disruptive technologies, and that this type of innovation is transforming Africa's economic potential. "With disruption comes great opportunity, where Africa will use technology to improve our competitive advantage on a global scale. "Agriculture plays a critical role in meeting Africa's developmental goals, with a huge focus on increasing agricultural production in a sustainable way, while also decreasing costs. Here, technology like the Internet of things (IOT), analytics and blockchain can help to shift this industry beyond a 'business-as-usual' farming approach to one of transformation, without cost to the environment." "Organisations within the sector have acknowledged that agriculture is a complex environment, highly variable and affected by a number of factors (like rainfall, for instance) that are out of the control of the farmer. 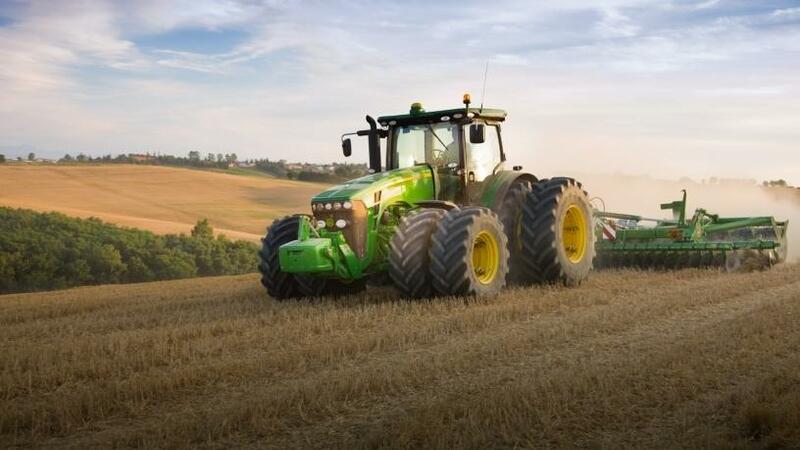 "However, this type of setting is also ideal for machine learning and IOT sensor measurement, meaning that the local agri-sector is starting to transform itself, and its products, to help make farming smarter, more efficient and more sustainable." But, Raath stated, connectivity remains one of the biggest stumbling blocks for the local agri-sector, with a direct correlation to the adoption of new technology within this market. "We see many farmers dealing with little to no connectivity, and some depending on satellite phones or two-way radios to communicate. "And, while the National Development Plan (NDP) 2030 does cater for basic connectivity to all, we understand the challenges that Internet service providers (ISPs) face when deploying expensive infrastructure in low-density areas, like farmlands, where the cost of infrastructure is not aligned to the number of users in the area. "It is here where industry and government need to work together to find solutions, like opening microwave spectrums to sectors, allowing private organisations to develop these purpose-built networks, such as those needed within the agri-sector. "Essentially, the private sector needs to work hand-in-hand with government to ensure the success and sustainability of local agriculture, but we need to take the first step together," he added. "Datacentrix was gratified to see an attendance increase of over 100% on last year's Agri Indaba, with particular interest from C-level attendees," said Josua Taljaard, event owner and business unit manager at Datacentrix. "We believe that this is indicative of the real value delivered in terms of content at the event, which not only emphasised how digital adoption can support local farming communities and mapped technology solutions to assist with the transformation process, it also provided real customer success stories." Alf White, group executive for IT at Senwes, one of the leading agricultural companies in South Africa and a Datacentrix client, presented one such testimonial, sharing Senwes' unified communications journey with the Agri Indaba 2018 attendees. "By moving away from our use of analogue voice communications and centralising network management for more than 140 sites nationwide with the implementation of a unified communications solution supporting both voice and data, Senwes has managed to achieve a 40% reduction in call charges," clarified White. "We also completed a travel analysis of Senwes staff, finding that the 2 500 staff members using the network were travelling a cumulative total of approximately four million kilometres per annum. It was decided that a more collaborative solution would deliver greater productivity by allowing for video conferencing and document sharing features, as opposed to physical travel. "The ROI for the project has already been realised, in less than five years," said White. For more information on Datacentrix's Agri Indaba, please visit https://www.datacentrix.co.za/agri-indaba18.html or contact Josua Taljaard on tel: 087 741 5000 or e-mail: jotaljaard@datacentrix.co.za.